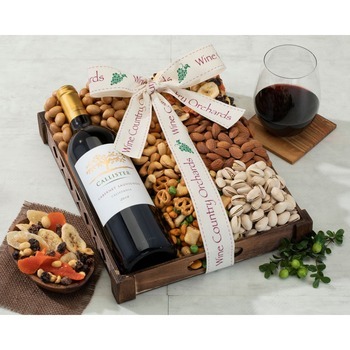 This exclusive red wine from Hobson Estate combines a fantastic California wine and savory gourmet nuts, including a cabernet sauvignon that exhibits black cherry and blackcurrant flavors. 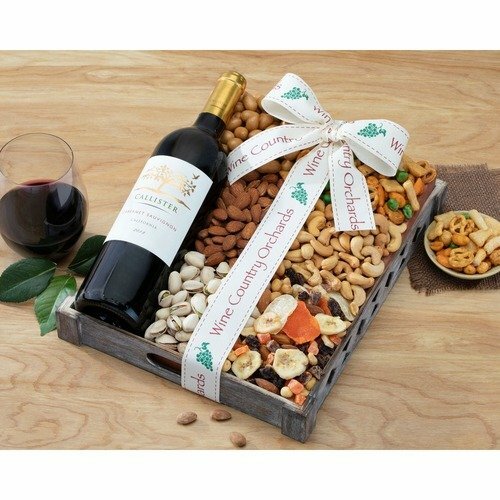 This full bodied cabernet sauvignon has muscular tannins and a long finish and is combined with our finest snacks, they will love butter toffee peanuts, roasted and salted cashews, chili lemon corn nuts, gourmet fancy mix and smoked almonds. * My Mother was in hospital and I was on the other side of the Globe. So this is great!